When you are in sight of an automatic promotion place, three successive home games might appear something of a gift. But nerves play a part, too, and often enough this season Sunderland have suffered less in this respect on their travels than at the Stadium of Light, says Monsieur Salut. The first of that trio of ties, of course, is behind us. A jittery performance against Burton Albion, described by Pete Sixsmith as a team looking tired up against “sprightly’ opponents, nevertheless yielded the point that took us second top. 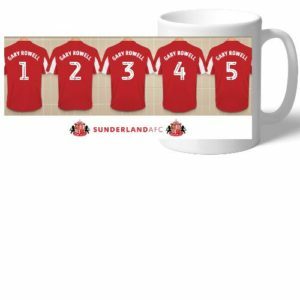 Sunderland under Jack Ross continue to show a welcome defiance to the idea of being defeated. And still we have a game in hand over the side we displaced, Barnsley. Dropping two points left it a lot less likely that we can catch Luton at the top. But the run-in remains in our hands and we need only match Barnsley’s results to be be sure of finishing above them while naturally keeping an eye on what Charlton and Portsmouth are up to. So next up is Coventry City. It’s a good time to Guess the Score. A decision by newsnow.co.uk to refuse to “collect” headlines that relate to competitions – even such a modest one as Guess the Score – necessarily cuts the readership of these articles and therefore the probably number of entries. Coventry will bring a lot of fans; I imagine the figure of 2,600 I saw quoted yesterday will rise. Can we send them home miserable or will their team prevent us asserting ourselves ahead of the pack with Luton? Tried and tested. 3 – 0 naturally. 2-1. After 2 predictions of clean sheets have led to us going behind I have to end the hoodoo. Wyke. One in each half. I’ll go for 3-1 to the lads. Another jittery 90 minutes but we emerge victorious. 4-3 to The Lads. At about 5 pm I though “at least neebody won GTS”. But you’re getting closer Pete. A tense 2-0 to us, but any win will do. Sunderland 4 – 1 Coventry, we need to grab back the initiative and Wyke needs to put away his chances. A nail biting 1-0 home win – and I’ll be very happy with that. The Lads to win 5-1,which will also help the goal difference.! Paul beat you to 5 1 Mike but you wouldn’t have seen it because it was waiting to be moderated. I’ll enter 5 2 on your behalf as 5 0 has also gone. All the sensible scores have gone, so will go for a draw, but hoping for a win.